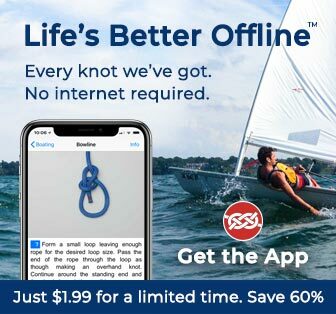 Wrap the rope twice around the bollard. Pass a bight under the standing end and over the bollard. Wrap an extra turn around the bollard. Pass a bight under the standing end and over the bollard and continue adding more turns as needed. Uses: The Lighterman's Hitch is described by Ashley as "To hitch to a Stanchion" (Ashley ABOK #2046, p 332). It is unusual in its approach to taking a heavy load. No knot is tied - instead the rope is passed partially round the standing end in one direction and then in the other – each time dropping a bight over the bollard. Ashley stresses the importance of making the hitch tightly so that it cannot "work." 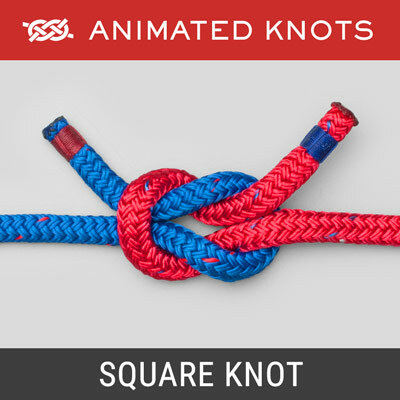 Similar Knots: The knot closest to the Lighterman's is the Tensionless – which merely consists of many turns wrapped round a suitable post, tree, or bollard. 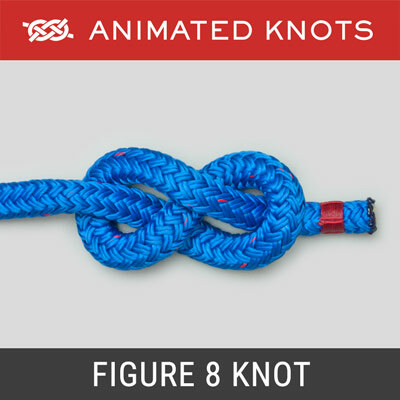 Of these two knots we prefer the Lighterman's because the alternating turns reduce rotational stress on the post. The Tensionless might have an advantage if the load approaches the breaking strain but only if the turns are passed around a large diameter bollard and the tail is secured away from the standing end to avoid the kink caused by securing the Tensionless to it. Tying it: The version shown here starts with two initial turns (often called "a Round Turn"). This provides a reliable way of taking the initial strain and is often enough to control a load while the hitch is completed. For larger loads an extra initial turn can be used. Advantages: The beauty of the Lighterman's Hitch lies in its simplicity and the ease with which it can be safely untied and eased out. As each turn is removed, the tail can be eased to determine how easy it still is to control the load.